It’s great timing, as you can still walk into one of these Carphone Warehouse stores and check out the Samsung Galaxy S5 and see what it’s all about before ordering one and getting it on Friday. 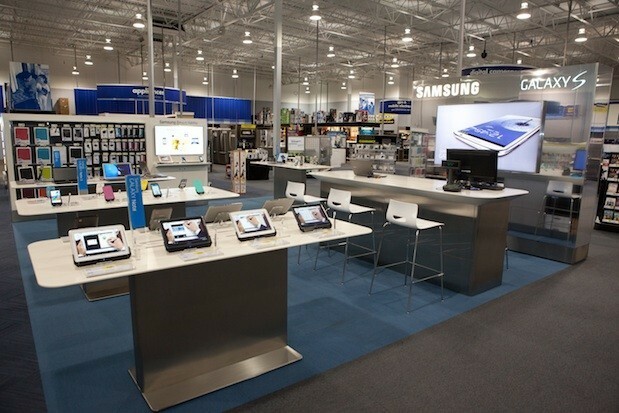 The Samsung Experience stores will have a lot more than just the Galaxy S5 though. It’ll feature just about everything that Samsung Mobile sells. So that includes the Galaxy Tab line of tablets, the Gear wearables, and of course all of the smartphones they have, including their Windows Phone line of smartphones. The Samsung Experience Stores are a great way to see what Samsung has to offer, and if it’s anything like it is in the US, we should see some Samsung reps at those stores as well to answer any questions you may have. Which is definitely a good thing for Samsung, and it gets more users interested in their products. Just in case their marketing doesn’t work for some reason. You can find the full press release down below if you’re interested in that. How many of you in the UK are looking forward to checking out these new Samsung Experience stores inside Carphone Warehouse? London, 9 April, 2014 –The first new concept Samsung stores in the UK operated by Carphone Warehouse opened today (Wednesday 9 April). The nine new stores opened at locations in London Oxford Street, Newcastle, Liverpool, Manchester, Bradford, Cardiff and Bournemouth. Stores will sell Samsung’s full range of mobiles, tablets, laptops and wearables, including the manufacturers’ new range of devices – the Samsung Galaxy S5, Gear 2, Gear 2 Neo and Fit. The partnership between Carphone Warehouse and Samsung to provide Samsung Experience Stores across Europe was announced in January, following the opening of three standalone stores operated by Carphone Warehouse in Spain last year. The new UK store roll-out follows the successful opening of 19 stores in Germany, Portugal, Netherlands, Sweden, Spain and Ireland in recent weeks. Further stores will open over the coming months in other locations across the UK and Europe. The post Samsung UK’s Experience Stores Open Today; Stop By and Check out the Galaxy S5 appeared first on AndroidHeadlines.com |.